I’ve always wondered why Paul would move around so much. The longest he ever stayed in one city was Ephesus (36 months) and Corinth (18 months). Sometimes he stayed only a few weeks. Yet everywhere he went a church began. He and Barbabus were in Antioch of Pisidia for only a couple weeks when they were driven out by persecution. Did the new converts whine about them leaving so soon? Did they bemoan the fact that they would have no ‘Pastor’ to watch over them and teach them? No. Acts 13:52 says, “the disciples were filled with joy and with the Holy Spirit”. 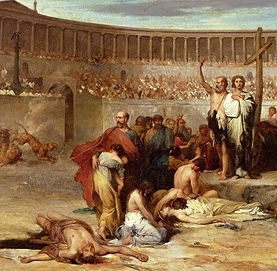 A decision to be a follower of Jesus Christ was different in Paul’s day. When you gave your life to Christ it was life-changing because it immediately affected your life. The Gentiles were so heathen and vile, the Jews so blind, that a Christian’s changed life would stick out. There was the danger of persecution, of rejection from your family. A decision to come to Christ was not a casual thing. You made the choice and your life was changed. You needed the help of other Christians. You prayed together, you studied the Scriptures together. Churches formed as a means of support and encouragement for Christians facing difficult and even hostile situations. In countries where Christianity is the ‘de facto’ religion, a decision to follow Christ can be motivated by self. In modern Christian America, we want our children to make a decision to trust Christ as their Savior because we can’t bear the thought of them going to Hell. But once they accept Christ, He fades into the background of activities at school. Church becomes an occasional thing, and there is no serious searching of the Scriptures at home. No wonder that 90% of our children head off to college and leave the church entirely. A decision to follow Christ is more a ‘convenience’ issue rather than one which dramatically impacts our life. In America, there is no urgency to being a Christian. We have become cultural Christians, because there is no need to hold fast to the Gospel of Jesus Christ in order to survive in a hostile environment. Christianity is socially acceptable. Lack of hostility towards Christianity breeds an environment of apathy toward the Power of Jesus Christ. It seems that the only time we seek the power of Jesus is when we face some personal situation like loss of a job or a bad diagnosis. We live lives that are pretty OK. There is no overwhelming need for the power and protection of Jesus that the first century converts experienced. Where the Word of God is flourishing and Christians growing today is in hostile environments such as China and Muslim countries. Imagine, the church flourishes in hostile environments. Could that be an indication the Power of God is needed to grow the church? In Paul’s day, being a Christian meant being a disciple. It meant giving everything up. It meant losing family, friends and possessions. It meant the threat of losing your life. We have lost that perspective in Culturally Christian Bible Belt America. The Gospel has power for our lives, but it is conditional. 1 Corinthians 15:1-2 Now I would remind you, brothers, of the gospel I preached to you, which you received, in which you stand, and by which you are being saved, if you hold fast to the word I preached to you— unless you believed in vain. “You are being saved” pictures an ongoing process whereby you are the recipient of God’s salvation. You are the one being acted upon. 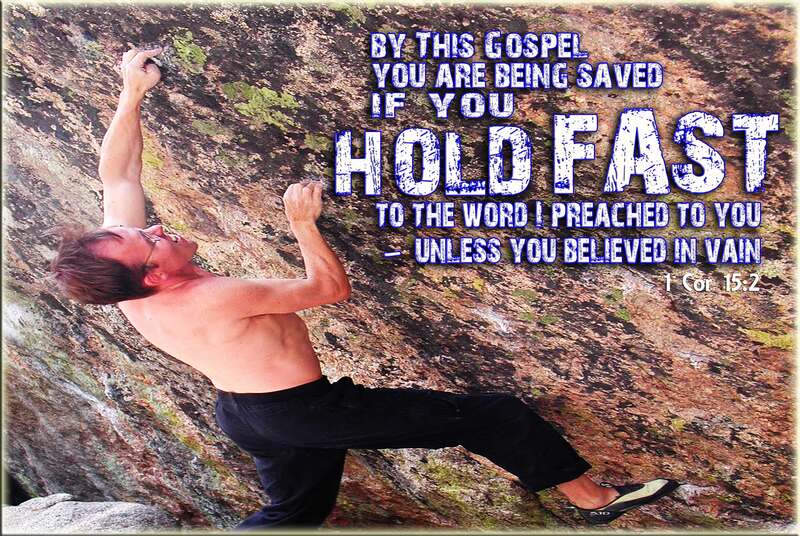 But you can block the power of the Gospel by failing to take hold of the Word. Κατέχω (Katecho) doesn’t mean to take hold of something in a casual way. It means to take hold of something as if you were making it your own, (to hold fast, keep secure, keep firm possession of). Like holding on to a bar of gold. You clutch it close to you, you make it yours, and no one is going to pry it from your hands. When you give your life to Jesus knowing that you could lose your life, you take hold of His Word as though your life depends upon it! If you are not holding fast to the Gospel, the chances are that your belief in Christ had a selfish motivation, and was for your personal benefit, and not because you needed Jesus, and needed His life to be yours. 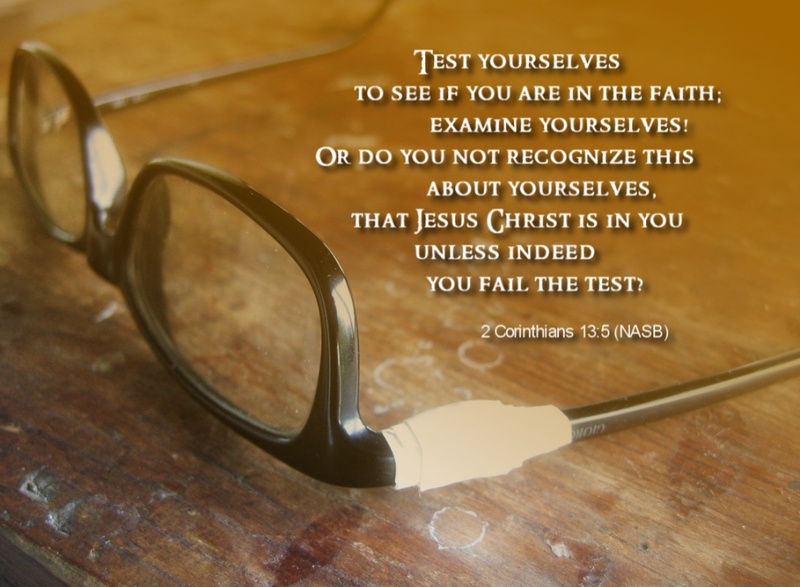 If you have not been holding fast to the Gospel of Christ, if you have failed to make it your life, perhaps you should “examine yourselves, to see whether you are in the faith”. Paul was confident that God would finish the work that he started. He knew the power of the Gospel of Jesus Christ! It is the Power of God, power that keeps us because we hold fast to the Gospel. Not because it is convenient, but because it is a necessity to live! Paul left town rejoicing, becasue he left behind a group of believers who NEEDED Jesus to live! And Jesus never forsakes His own!